Best Price on Nintendo Wii U Mario Kart Deluxe Set! 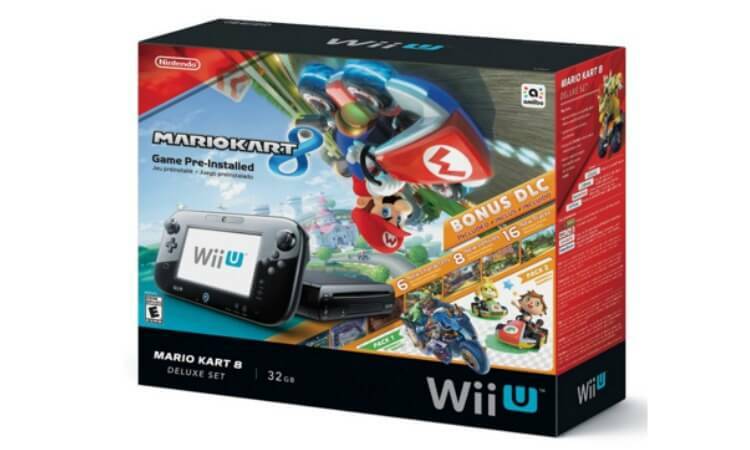 Home / Deals / Online Deals / Amazon Deals / Best Price on Nintendo Wii U Mario Kart Deluxe Set! Here is one of the BEST PRICES I have seen on a Nintendo Wii U Mario Kart Deluxe Set on Amazon! Right now, you can get this Wii U Bundle for only $249.99! This great Nintendo Wii U Deluxe Set is only $249.99 and it includes Mario Kart 8 already installed on it. This is a great Christmas gift this year so be sure to grab yours while it’s still available. It will be back in stock for shipping on 12/10, but you can order now and get it at that price!